It is a Chinese martial art that is based upon the fighting motions of seven different animals. Al Moore Sr. was the founder of the art and developed the system to utilize the fighting skills of the seven animals: bear, tiger, mongoose, mantis, crane, cobra, and dragon. Al Moore passed away in 2002 and the art is being carried on by Da Shifu James Clark. Why do you study different animals? Each animal fights differently. Some are very powerful and fight using their size and strength while others are small and must rely on evasion or the weaknesses of their opponents. One never knows what kind of opponent they’ll face but by studying the various animals, you will have a wide breadth of techniques and weapons to draw upon when the situation calls for. What do the colored belts mean? Unlike most systems, there is no set testing schedule in Shou Shu. When the teacher feels the student is ready to test for their next belt, they test. How quickly a student progresses depends on how often they attend class and practice at home. How is Shou Shu different from other arts? Most other striking martial arts such as Taekwondo, Karate, Muay Thai, Wing Chun and many others are external hard styles. Shou Shu on the other hand is an internal soft style. An internal style generates power with the entire body while external styles generate power with the limbs using staged activation of muscles. In a soft style the body remains relaxed while a hard stylist will tense up when striking. There are many advantages to practicing an internal soft style, just ask any of the teachers for a more detailed description. In short, no. Unlike tournament or sport arts, Shou Shu is a practical martial art that solely concentrates on self-defense. Trying to win a tournament or competing in the ring is very different from self-defense on the street. Shou Shu prepares the student for real-world multiple attacker situations. Is the art good for kids and adults? Yes. Kids will learn, discipline, cooperation, respect, all while learning practical self-defense techniques. The skills they learn at Red Dragon Martial Arts will help them now and a long time into their futures. For adults the classes are equally beneficial with improvements in endurance, flexibility, balance, coordination, and strength. Adults will also gain self-confidence knowing that they will learn the skills to defend themselves and their families much more effectively should the need ever arise. You’ll find that this is the best deal in town for learning martial arts. The monthly costs are affordable and there are no hidden fees. Many other schools have club programs, expensive uniforms, and on and on. 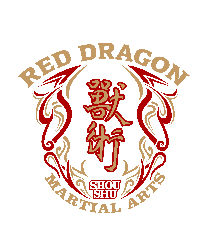 The monthly fees at Red Dragon Martial Arts is reasonable and there are no surprises. Adult classes also include a weekly 30 minute private lesson.